Chipotle has not recovered as much as investors expected after the chain's E. coli woes. The company, which posted its quarterly earnings update after the bell Thursday, said its profits were down 82% from last summer. That drop comes after the company reported its first ever quarterly loss in April. Although Chipotle did manage to post a profit of $25.6 million this quarter, comparable store sales were down 23.6% and revenue down 16.6% compared to the same period last year. Reactions were mixed. After an initial price jump of about 2%, Chipotle (CMG) stock began trading about 1.7% lower during extended trading hours Thursday evening. In a press release and during a call with investors, co-CEO Steve Ells harped on the success of its new loyalty program, Chiptopia. He said customers are "embracing the program" and "nearly 30% of all transactions are engaged in Chiptopia." Chipotle has been plagued by E. coli outbreaks that began in July last year and lasted through January. The outbreak started in the Northwest and spread across dozens of states. 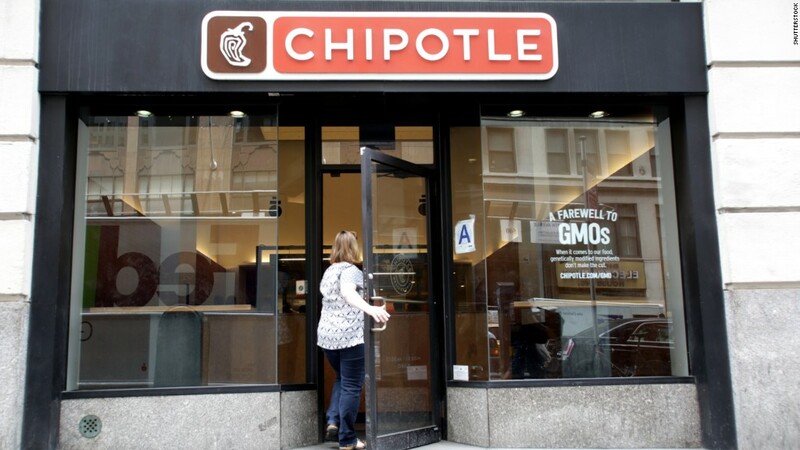 The cause of the outbreak remains unclear, but it spurred Chipotle to give its workers a crash course in food safety and offer free burritos hoping to regain customer loyalty. Ells said its Chiptopia program has helped that effort. "Our entire company is focused on restoring customer trust," he said. "While it has only been a few weeks since Chiptopia launched, we are pleased to see that July sales comp trends have already improved."